K6 base camp looking up at the imposing face. 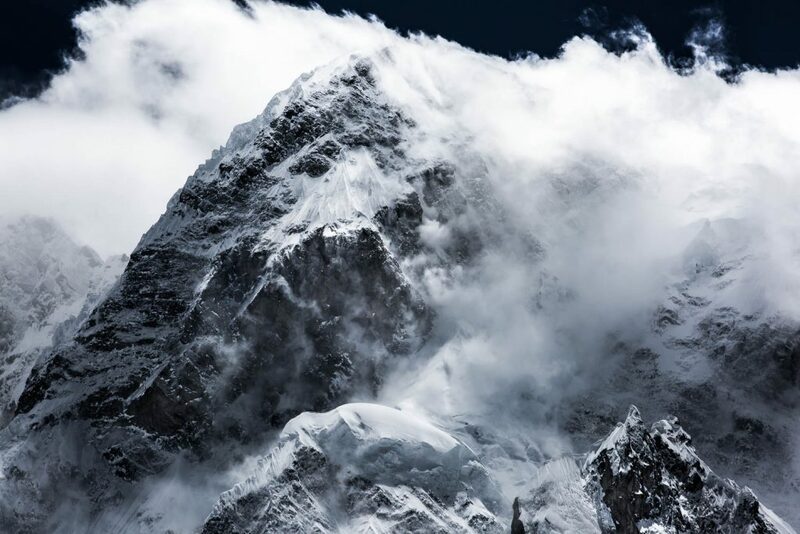 What I love about this image is the contrast between the soft cloud and the jagged, imposing rock face. Few people jabbed climbed this mountain after its 1st ascent in 1970.